Hey guys its a Terrific Tuesday sorry my connection is so late but I have been uber busy today! We are so happy to announce that we have turned over the ARU classes to a few selected breeders! Classes will still work in the same way you will still be required to send in a nc created by your avatar to receive credit. 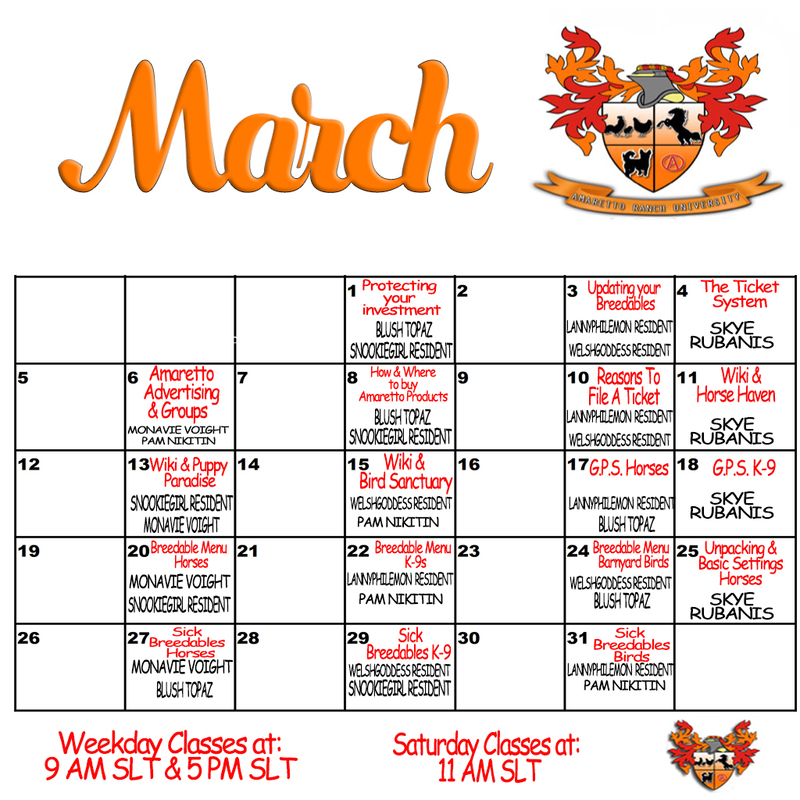 Here is a copy of this months March ARU Schedule! Look we were able to add back Saturday classes at a new time!! We are sure that all these lovely ladies will do a bang up job teaching our loyal breeders at ARU! 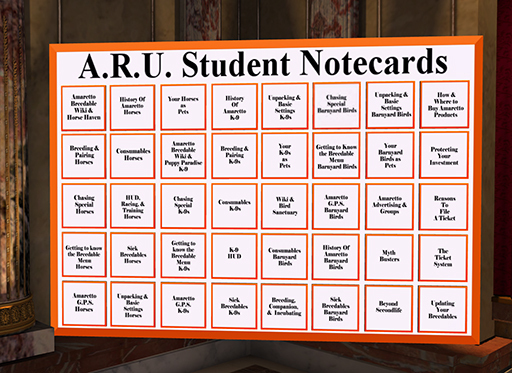 The other change at the University is that we will no longer be rezzing out boxes for you to get your student notecard, instead they will be avaliable to you at anytime with our new A.R.U. Student Notecard Giver Board! Just find the class you need and click the according box! This will send you your student notecard to keep for your notes in the future. I am very excited about the new changes to the ARU I hope you guys will be too! If you are living under a rock and have not attended any ARU class what are you waiting for? Tell em Ava sent you!!! What Wonderful Wikis We Have! In the picture above you will see the sections on the main page of the horse wiki. I will briefly cover each section and what information you can find there. Contacts- In this section you will find the names of all Amaretto Owners and employees. This section is very handy if you are looking for a member of the Amaretto team to contact in world. FAQ- This is our frequently asked questions section. Here you will find some of the most commonly asked questions about the Amaretto horses and the answers for those questions. 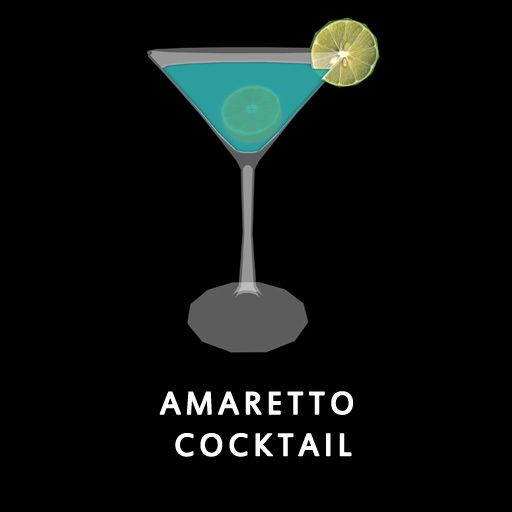 Glossary- Here you will find a list of common Amaretto horse related terms and their meanings. 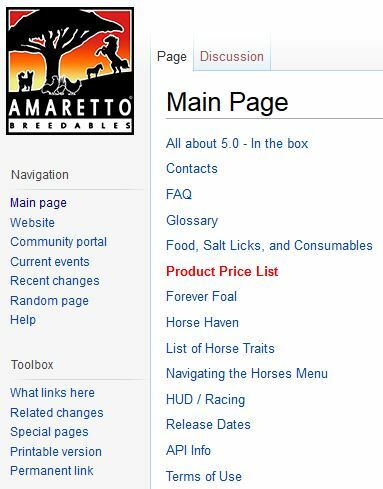 Food, Salt Licks, and Consumables- This is the section where you will go to find out all about the different horse food, salt licks, and consumables Amaretto has to offer. Forever Foal- In this section you will be able to find all information needed about the Forever Foal certificate Amaretto sells at all locations. This certificate allows you to take a retired horse and make it so it no longer requires food. Horse Haven- This is the section where you can find the Horse Haven information. You will find a list of points available according to age and traits. You will also find a list of items you can purchase with your earned Haven points. 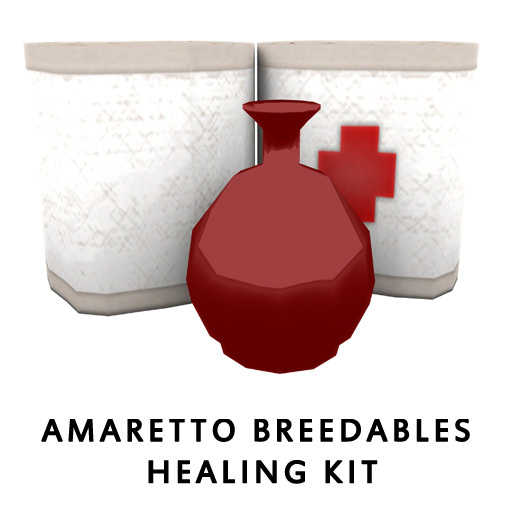 List Of Horse Traits- In this section you will find all of the current Amaretto horse traits. You will see horse coats, horse eyes, mane & tail, brandings, leg traits, wings, bridles, and other traits. This section is visited very frequently! Navigating The Horse Menu- You can learn everything you need to know about the horse menu in this section. This is a very handy section for our newer breeders. HUD/Racing- This section tells you all the information about the horse HUD and racing. You can learn how to use the HUD and also learn all about the fun and exciting racing. Release Dates- This page provides a list of updates and the dates they were released. 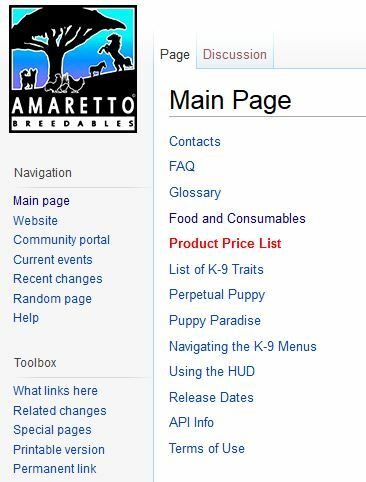 In the picture above you will see the sections on the main page of the K9 wiki. I will briefly cover each section and what information you can find there. FAQ- This is our frequently asked questions section. 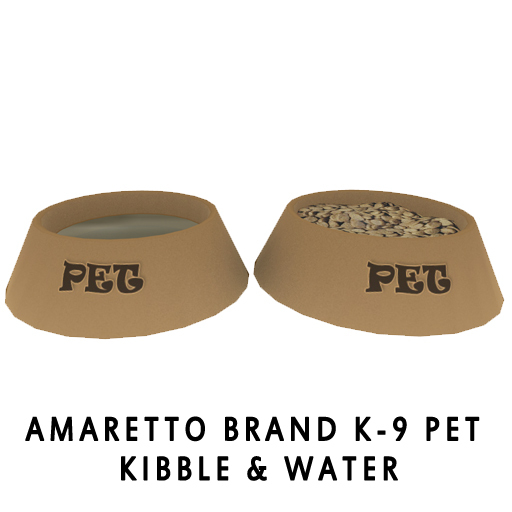 Here you will find some of the most commonly asked questions about the Amaretto K9 and the answers for those questions. 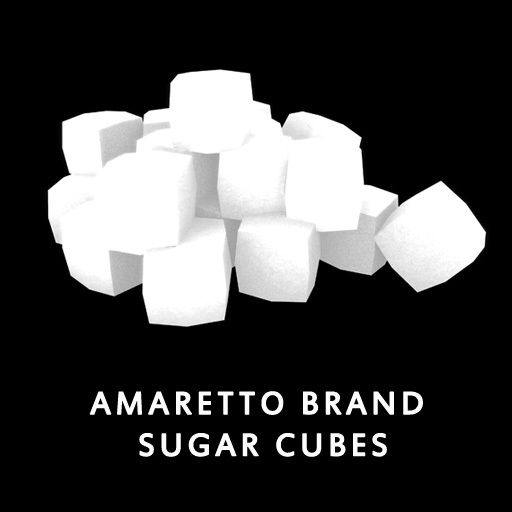 Glossary- Here you will find a list of common Amaretto K9 related terms and their meanings. 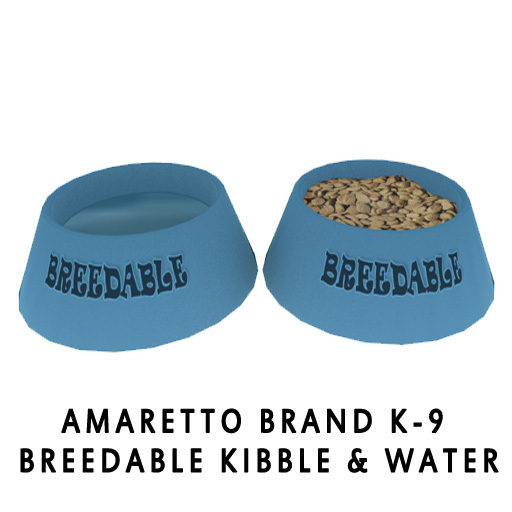 Food and Consumables- This is the section where you will go to find out all about the different K9 food and consumables Amaretto has to offer. Perpetual Puppy- In this section you will be able to find all information needed about the Perpetual Puppy certificate Amaretto sells at all locations. This certificate allows you to take a spayed or neutered K9 and make it so it no longer requires food. 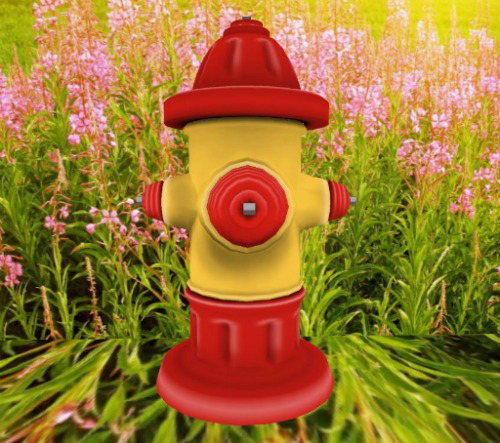 Puppy Paradise- This is the section where you can find the Puppy Paradise information. You will find a list of points available according to age and traits. You will also find a list of items you can purchase with your earned Paradise points. 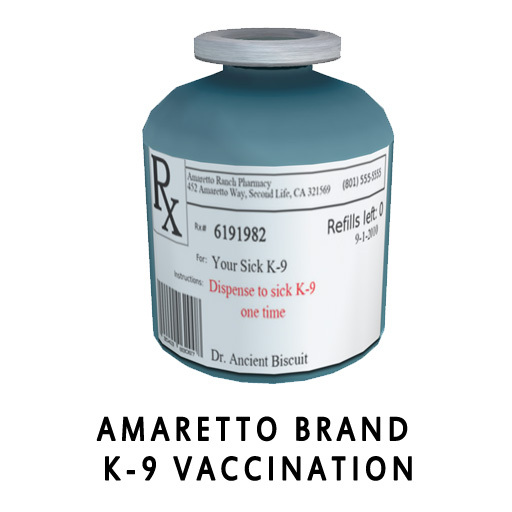 List Of K9 Traits- In this section you will find all of the current Amaretto K9 traits. You will see K9 coats, K9 eyes, K9 Collars, and other traits. This section is visited very frequently! Navigating The K9 Menu- You can learn everything you need to know about the K9 menu in this section. This is a very handy section for our newer breeders. Using The HUD- This section tells you all the information about the K9 HUD. You can learn how to use the HUD and also learn all about some of the neat things you can do with your K9 such as pet and walk them. API Info- This page will give you the API information if you happen to need it for a special project you are working on. In the picture above you will see the sections on the main page of the Barnyard Bird wiki. I will briefly cover each section and what information you can find there. Bird Sanctuary- This is the section where you can find the Bird Sanctuary information. You will find a list of points available according to age and traits. You will also find a list of items you can purchase with your earned Sanctuary points. 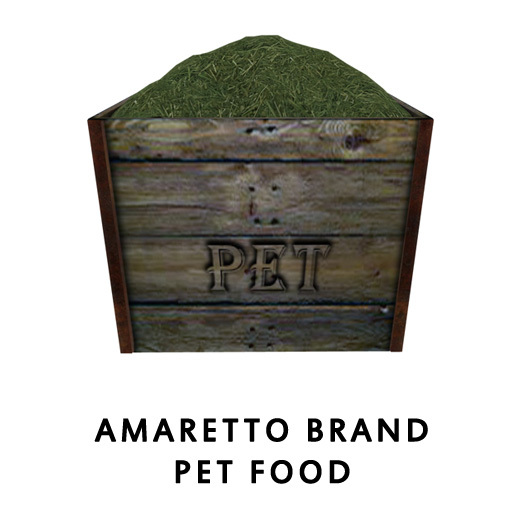 Food and Consumables- This is the section where you will go to find out all about the different Barnyard Bird food and consumables Amaretto has to offer. FAQ- This is our frequently asked questions section. 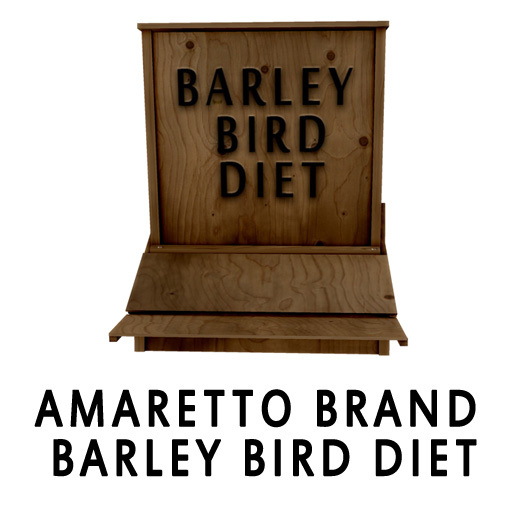 Here you will find some of the most commonly asked questions about the Amaretto Barnyard Bird and the answers for those questions. 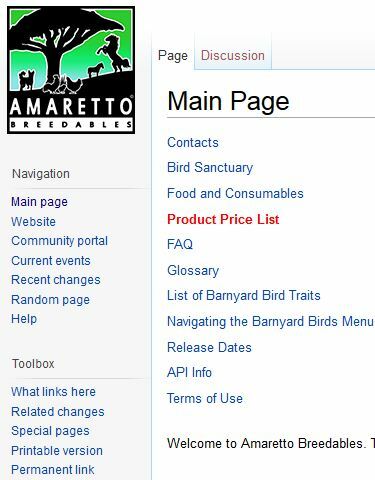 Glossary- Here you will find a list of common Amaretto Barnyard Bird related terms and their meanings. List Of Barnyard Bird Traits- In this section you will find all of the current Amaretto Barnyard Bird traits. You will see Barnyard Bird Breeds, Barnyard Bird eyes, Barnyard Bird Classes, and other Barnyard Bird traits. This section is visited very frequently! Navigating The Barnyard Bird Menu- You can learn everything you need to know about the Barnyard Bird menu in this section. This is a very handy section for our newer breeders. So you see these three wiki pages can certainly come in handy when you need information on any of our breedables! Be sure to take a moment to explore these pages as I am sure will learn something new! Happy Wiki reading and breeding!! Happy Friday Amaretto community! 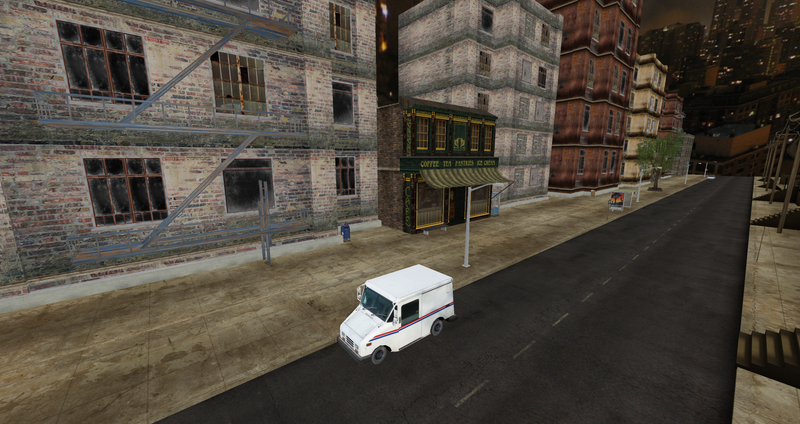 Today I am going to talk about the GPS. The GPS is super handy and helpful. It can change all your settings on your breedables on the sim with just one click. Not only is the GPS great on your breeding sim, but also at the markets. Most markets want you to make sure that movement, animations, and sounds are all off to help keep down lag and the GPS is the answer. You can use the GPS at the markets as it will only set any breedable that you own!! Hello everyone hope you are all having a wonderful day. 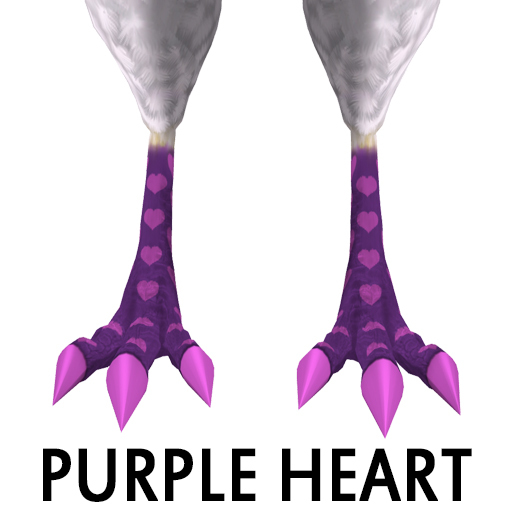 I wanted to take a few minutes to show you the last hidden surprise from the Valentines Edition Barnyard Birds. 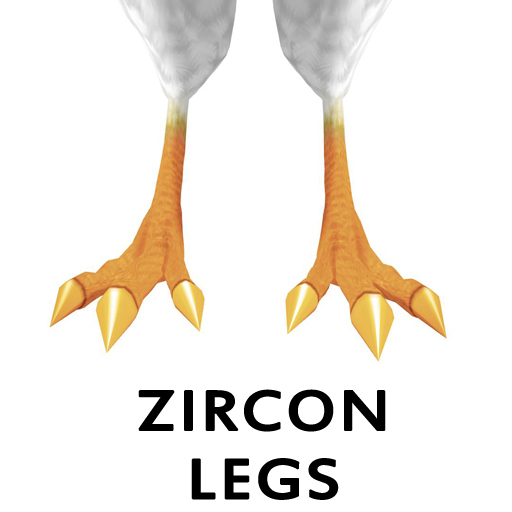 Take a look at these legs! 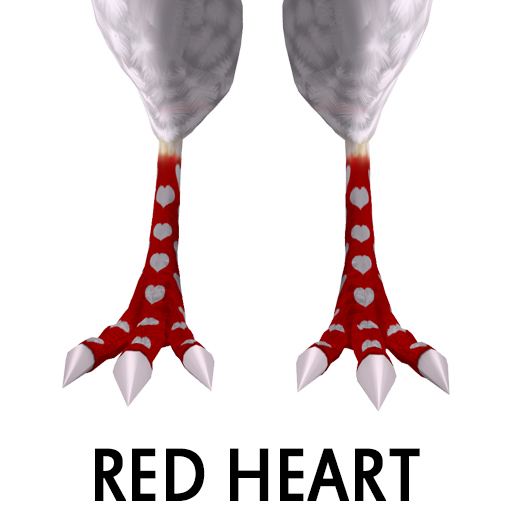 You have the possibility to get these legs from any breeding of 2017 Valentine’s Day Bird – Ravishing or 2017 Valentine’s Day Bird – Precious! These new heart legs do have the ability to pass! I cant wait to see these in your projects! The eyes on the 2017 Valentine’s Day Birds has the ability to pass as well! Let’s Get Looney and Batty! Hey everyone and happy Wednesday! We have made it half way through the week! I know you guys have been wanting to know about next months Looney Leg and Batty Bosom makers! Well I am here to tell you today! Starting March 1st until March 31, 2017 by breeding any TWO horses with Birthstone Flower Eyes together you will have a chance at getting a Looney Flower Power! These legs will have the ability to pass! Where are my K-9 breeders at? 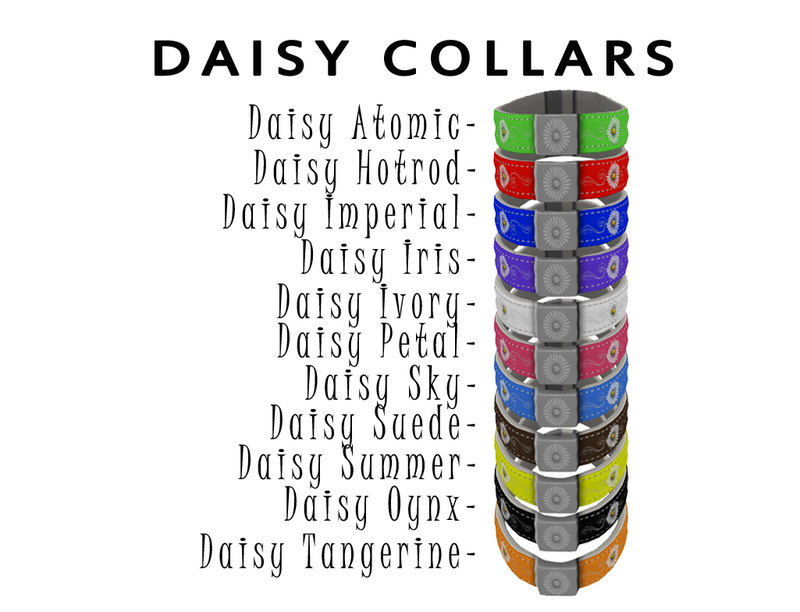 Starting March 1st until March 31, 2017 by breeding any TWO K-9s with Daisy Collars together you will have a chance at getting a Looney Leg Flower Power! These legs will have the ability to pass! Now lets get a little Batty! Barnyard Bird breeders this one is for you! 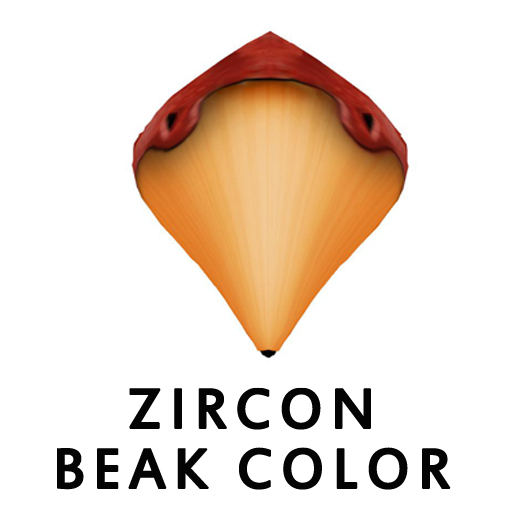 Starting March 1st until March 31, 2017 by breeding any TWO Barnyard Birds with Leg Zircon or Beak Zircon together you will have a chance at getting a Batty Bosom Flower Power! I hope you have a groovy time breeding for the Flower Power Looney Legs and Batty Bossoms! Hey guys how is everyone its yet another Terrific Tuesday here at Amaretto Ranch! I hope everyone has got a great start to their week! I wanted to take a few moments to share some love! Take a look at these two brand new Paw Warmers that you have a chance at getting if you breed any combination of Valentines Edition K-9s! These paw warmers do have the ability to pass! 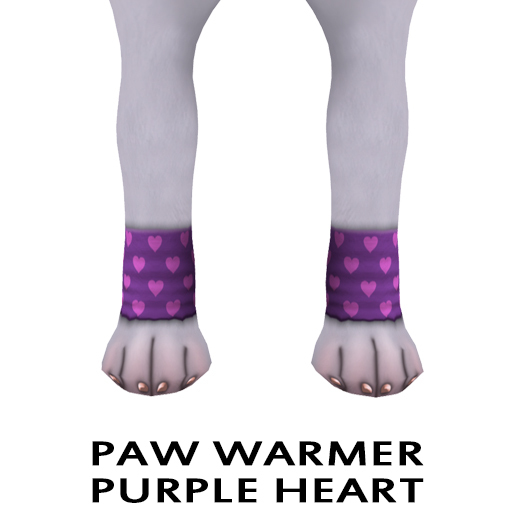 You can check out all the different Paw Warmers on our wiki! 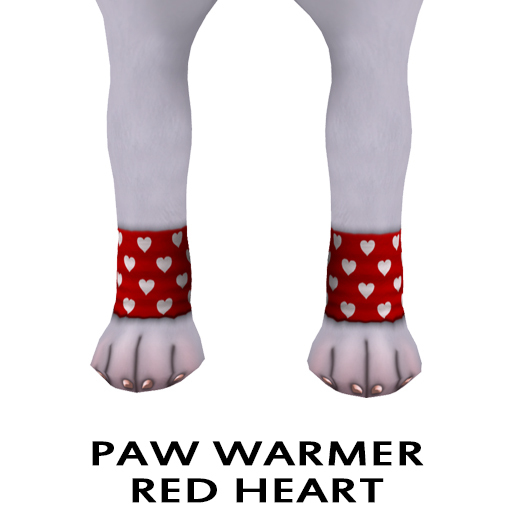 So keep breeding those Valentines Edition K-9s for your chance to get these lovely paw warmers! This is Ava over and out happy breeding everyone!! Hello Amaretto!! 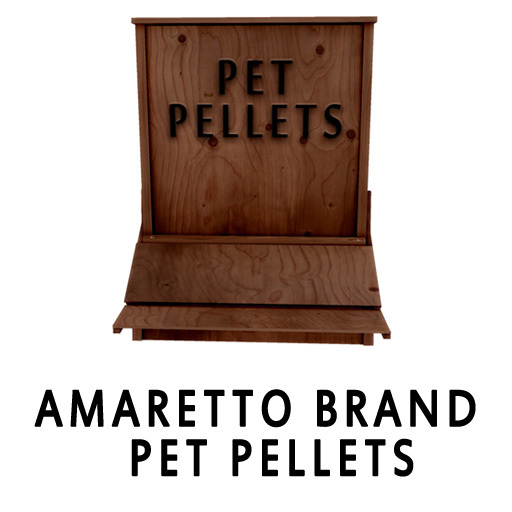 It’s Monday, the start of a new week here at Amaretto and we have some pretty exciting news. Our beloved University is looking for a few graduates that would be interested in teaching classes. We thought it would be good for you, our community as well as for us, which will free up sometime for our staff to work on all the new and exciting things happening. 1. The instructor must be a graduate from A.R.U. 2. They must be a current breeder of all of the Amaretto Animals. 3. Be able to use voice for class. So if anyone is interested in applying for a position, please drop me, Josaphine Cooperstone, a note card with your name, when you graduated and a little bit about your breeding history. I look forward to speaking with all of the applicants soon. Happy Breeding!! How do we become happy and in the mood? Put some music on that’s soft and slow…. 2.. Rezzing out a salt lick with your food will make your horses happier. This stat booster gives a 1% increase in happiness over time. One Salt Lick last 2 horses 2 weeks. Also you have two other consumables at your disposal to help raise the happiness level some. A,. Sugar cubes, when used give your horse a 15% increase to the happiness. You can only give this consumable to them once in a 24 hour period. B. The second consumable that affects happiness also affects all the other stats of the horse and that’s the Amaretto Cocktail! 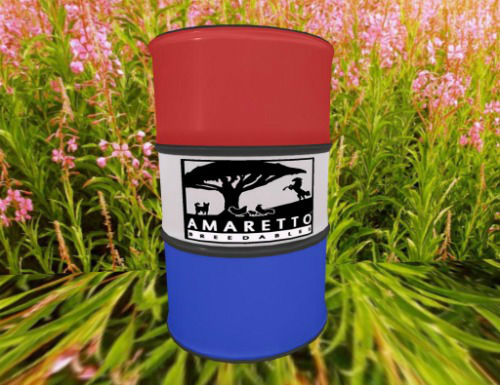 This wonderful little concoction is just what your horse wants to feel happy and ready to start producing bundles by raising energy, happiness, and fervor by 5% and decreasing nourishment by 5% ensuring that your horse can stay up late with his favorite mare! Note that again this consumable can only be given once every 24 hours. 1.Playing with your K-9 will make your K-9s happiness increase over a length of time! So if you have a K-9 that is feeling a little blue you can use the hud to bring up their happiness so they will be ready to breed. Ava has made a K-9 hud video for a visual explanation on how easy it is to use! 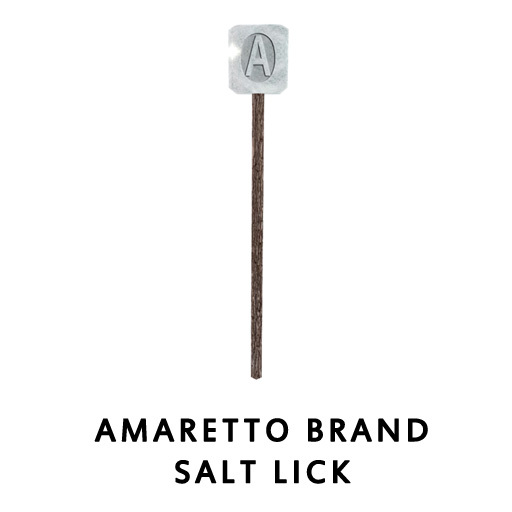 2.The Amaretto Brand Chew Toy gives a 1% increase in happiness over time. 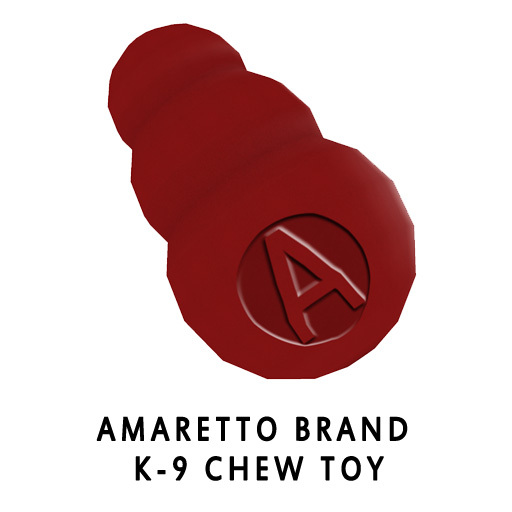 One Amaretto Brand Chew Toy last 2 K-9s 2 weeks. 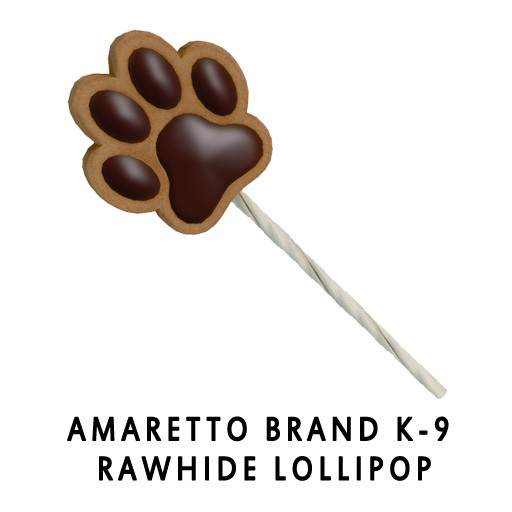 A.The Rawhide Lollipop will increase one of your K-9s happiness by 15% . 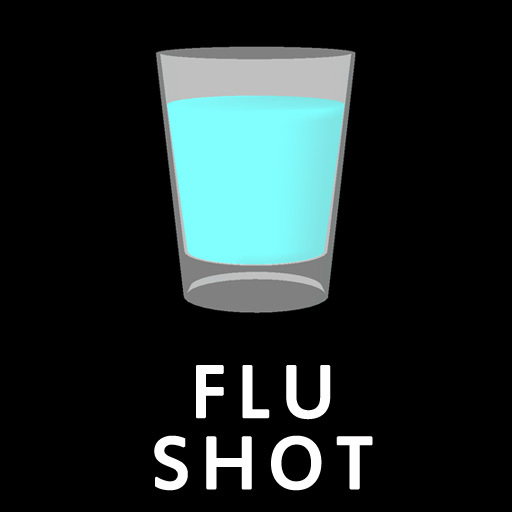 This consumable can only be given once every 24 hours. 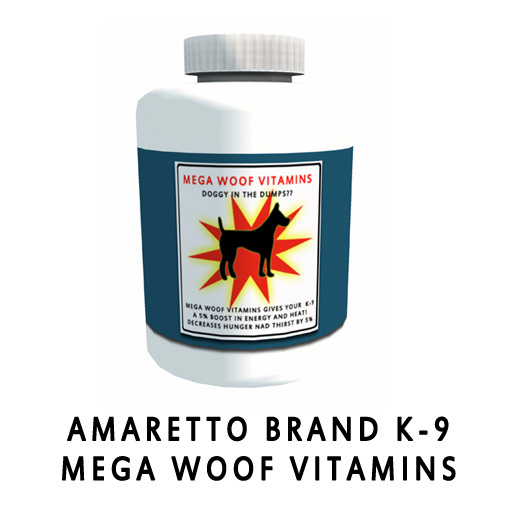 B. Mega Woof Vitamins This wonderful little concoction is just what your K-9 wants to feel happy and ready to start producing kennels by raising energy, happiness, and fervor by 5% and decreasing hunger and thirst by 5% ensuring that your K-9 can stay up late with his favorite gal! 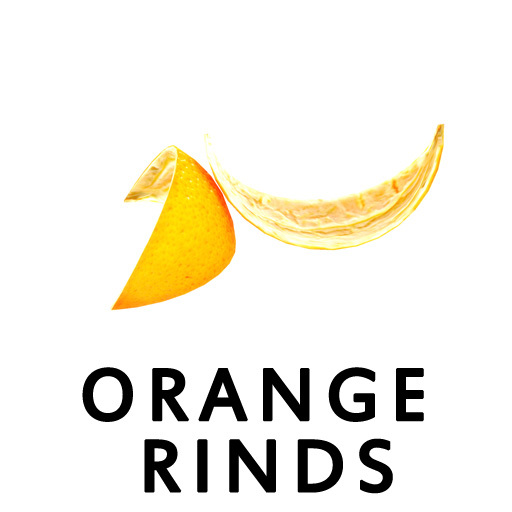 These delicious orange rinds are used to build the vivacity of your Barnyard Bird! 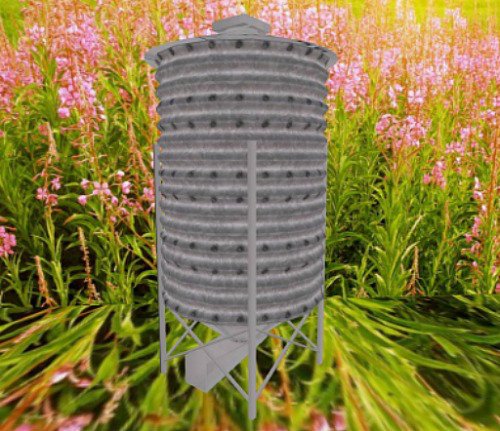 These are important as your Barnyard Bird must have 85% or higher vivacity coupled with 100% vigor in order to breed. 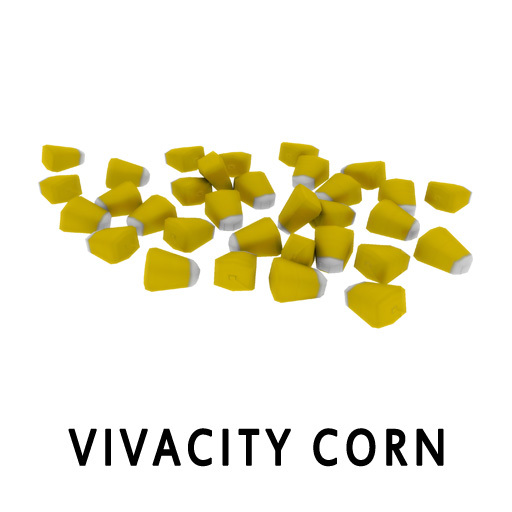 2.Vivacity Corn will increase one of your birds vivacity by 15% This consumable can only be given once every 24 hours. 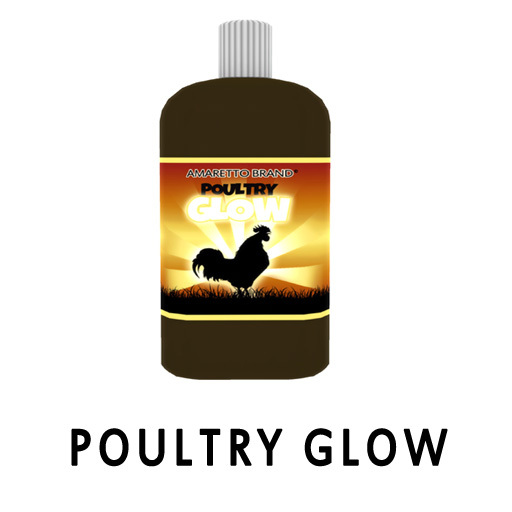 3.The Poultry Glow provides a 5% increase to Stamina, a 5% increase to Vivacity and a 5% increase to Vigor. This consumable can only be given once every 24 hours. Now that we have them happy we just have to wait for that bundle, kennel, and nest to arrive!!! Amaretto has a Race Track? Need a place to train your horses or just ride for fun? Hang out and enjoy the scene? Did you know that Amaretto has a whole skybox Race Track? Well we do! And it is pretty cool too! Amaretto has built this nice race track for you all to come and ride your horse or just go there and meet up with some of the fellow breeders. So come ride or train your horse anytime! 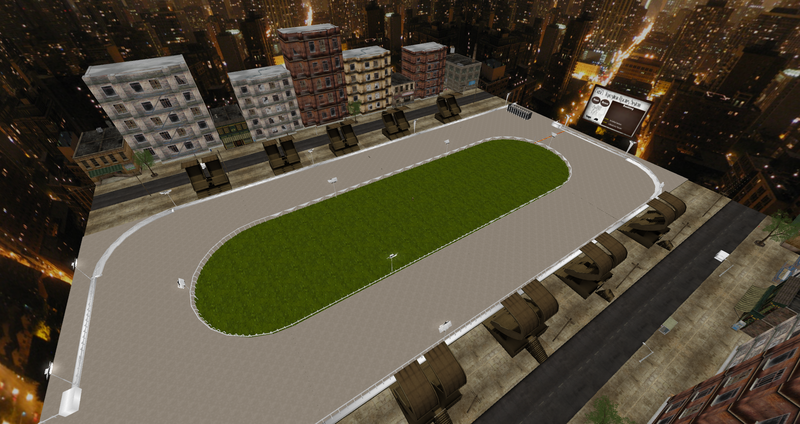 I have included a picture of the race track and a LM so go over and check it out and have fun! We hold events there on occasion as well cause it is such a cool place to be….come check it out! Happy Thursday everyone! Who is ready for the weekend!? We’ve almost made it! Today I wanted to take some time to help with two of the most common questions I see in the Amaretto groups. 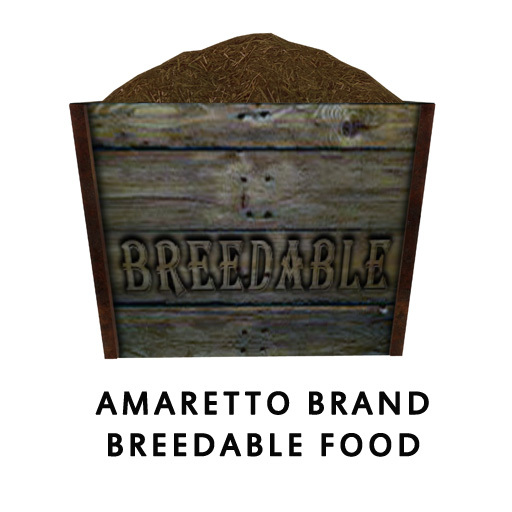 “Help my breedable isn’t eating!” or “Help my breedable is sick!” There are quite a few things you can try to get your breedable eating again but remember if all else fails you can always file a ticket on the Amaretto Support site and have a CSR help you look into it. Let’s talk a little about the food for your breedables first. Breeder Food is for Horses, K-9’s or Barnyard Birds that you want to breed once they reach 7 days old. Pet food is used when you do not wish to breed your animal. If you decide later that you do wish to breed them it will take 7 days of them eating Breeder food for the Pet food to wear off. A Healing Kit for horses, Vaccination for K-9s and Flu Shot for Birds can be used to heal your breedable or they will eat their way out of sickness, Horses and K-9s in approximately 3 days and Barnyard Birds take 4 days. So there you have it all you need to know if your breedable starts to become sick.